Herbert "Butch" H. Patrick, Jr.
Mr. Patrick brings more than 30 years of experience in the vacation ownership industry Zealandia Holding Company, Inc. As CEO, he is responsible for setting the company's strategic vision and direction, driving the company's culture and leading the company's executive team. Prior to co-founding Festiva, he served as Chief Financial Officer of Peppertree, Treasurer of Equivest Finance, Inc. and was on the executive committees of both companies. In addition, Mr. Patrick acted as an advisor on key resort acquisitions for Equivest; was responsible for all aspects of the company's accounting, finance, human resources, and legal departments; and monitored other related vacation ownership entities, including a dozen Homeowners' Associations. Before joining Peppertree in 1996, Mr. Patrick was a partner in Painter, Patrick and Russell, P.A., a Certified Public Accounting firm that served as Peppertree's outside auditor. For 19 years, he was responsible for all audits and reviews that included Peppertree Resorts and its many affiliates. Mr. Patrick is a Trustee with the American Resort Development Association (ARDA) as well as a member of their board of directors. He also serves on the Asheville Art Museum Board of Trustees and the Western North Carolina Nature Center Board of Directors. He is a former member of the North Carolina Association of Certified Public Accounts and the American Institute of Certified Public Accounts. 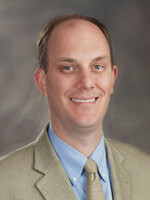 Mr. Patrick also served previously as director for the Asheville Chamber of Commerce. He is a graduate of East Carolina University. 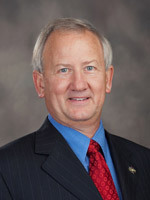 As Chief Operating Officer, Mr. Smith is tasked with providing the leadership, management and vision necessary to ensure the company has the proper operational controls, administrative and reporting procedures, and the people and systems in place to effectively grow the organization in a way that maximizes financial strength and operating efficiency. Mr. Smith joined Festiva in 2005 as the Director of Member Experience. He was responsible for the management of multiple points based vacation ownership clubs and our customer service department. Mr. Smith has since served in leadership roles with our partner timeshare exchange company as well as our corporate compliance team. Prior to joining Festiva, Mr. Smith spent four years working in the corporate hospitality and event planning industry. Mr. Smith holds a B.S. in Finance and a B.S. in Sport and Entertainment Management from the University of South Carolina. As Chief Financial Officer, Mrs. Laster is responsible for directing the overall financial plans and accounting practices of Festiva Hospitality Group, Inc. as well as overseeing financial and accounting system controls and standards. Mrs. Laster has successfully developed and implemented procedures to insure accurate and timely financial reporting, established all accounting department goals, and oversee the accounting department personnel. 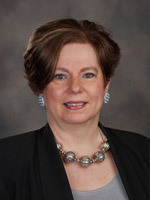 Before joining Festiva in 2001, Mrs. Laster was Vice President/Controller for Peppertree Resorts. There she managed the department that handled finances and accounting for 15 resorts and payroll for more than 1,000 employees. She also managed accounting procedures for all of Peppertree's Homeowners' Associations and affiliated companies such as the Great Smokies Holiday Inn SunSpree Resort. Mrs. Laster received an Associate's degree in Accounting from Asheville Buncombe Technical School.